Every now and then I like to try new brands and branch out from the products I’m comfortable using. If you’re looking to do the same, I suggest Juice Beauty! Non-toxic, organic ingredients and high-performing products. I’ve tried a few of their products over the past two years or so and have only positive things to say. These are available in ten different shades. I am shade Rose beige (light skin with pink undertones). The first two ingredients are organic aloe juice and organic safflower oil, so super nourishing for your skin! The coverage is full and I find that it leaves a slightly dewy finish, and it’s not cakey. 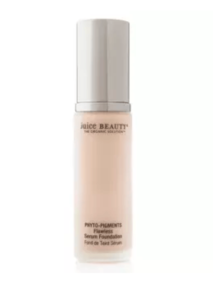 I tend to like more of a matte finish when using foundations, but this is great if you want dewy! About once a week I use the Green Apple Peel. You put it on clean skin for about 20 minutes and then wash off and moisturize. It may sting a little and leave your face red for a bit, but that’s how you know it’s working! Full of antioxidants and fruit acids that help reduce the appearance of dark spots and fine lines. I use Full Strength but if you have rosacea or sensitive skin, buy the Sensitive version [$39]. I love using this concealer as an under-eye concealer to brighten that area up. But you can use it anywhere on your face that you want to correct. Made with lots of nourishing organic fruit and seed oils! 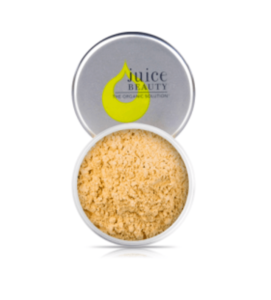 This powder is amazing for oily, combo, or blemish-prone skin. After I use foundation, I put this on afterward if I have a pimple or red area. It has bamboo powder on it which is a natural antiseptic and tea tree extract which is great for fighting acne. I only use this on problem areas and wouldn’t recommend using it if you want something that provides full coverage. 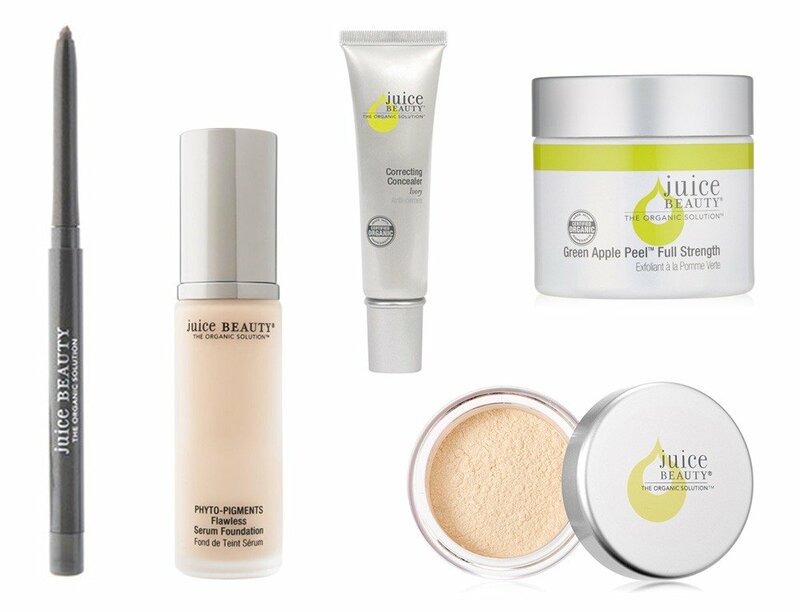 These are just the products that I have tried, but Juice Beauty has a TON more that I would love to test, both makeup and skincare products. Let me know in the comments if you have any questions or if there are any other Juice products you use and love! Are ALL juice beauty products non toxic? I believe so! You could download the Think Dirty app to look up specific products and ingredients, they probably vary product to product.